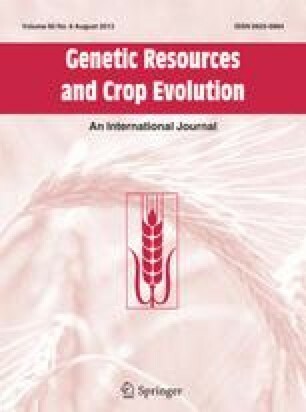 This is an account of genetic, phytochemical, historical and cultural studies of sesame, Sesamum orientale L. and its wild relatives. The Pedaliaceae family, to which sesame belongs, is found chiefly in tropical Africa, with two unique sections of the genus Sesamum exclusive to India. Many authors who write about the domestication of sesame reiterate the widely published statement that sesame was domesticated in Africa. The evidence for this view is critically examined. Genetic and chemical data demonstrate the difficulty of accepting an African origin of the crop. Data are presented to authenticate the Indian subcontinent as the place where sesame was domesticated.